Fatima Ali, aka "Chef Fati" to her friends, is hoping to share her personal journey. 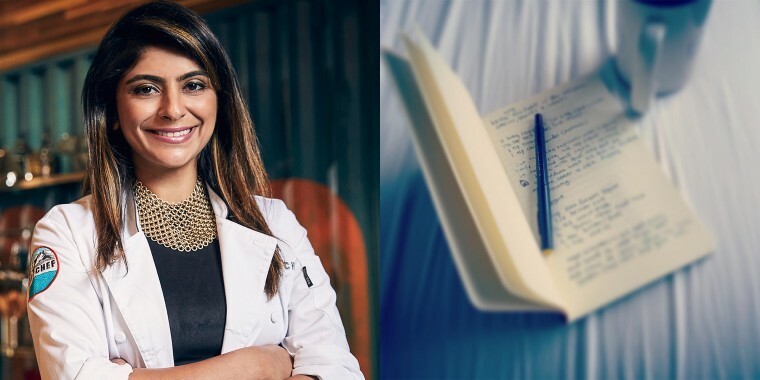 After revealing her terminal cancer diagnosis in a personal essay published in October, “Top Chef” alum Fatima Ali hopes to find further solace through writing about her life. On Monday, the 29-year-old chef, who has been told by doctors that she has one year to live after her rare cancer recently returned with a “vengeance,” took to social media and asked her supportive fans and followers for help with her latest project. "I’m contemplating writing a short book, or collection of essays or something," Ali wrote. "Question is: would you read it? What kinds of things would you want to learn about me, if anything?" Thousands of Ali's fans responded to her request on Instagram with enthusiastic encouragement and recommendations for what they'd like to read. Many commenters called for a cookbook of her favorite recipes, with many hoping Ali would include stories about the inspiration behind her bold flavors. Others asked for her to write about her personal life, her struggles as a chef and her ability to cope and find strength under difficult circumstances. Yes, I would buy it. I would be interested in learning what makes you, you. Your experiences growing up, your background, your decision to become a chef, what gave you your disposition before your illness & afterward. What do you believe in? Do you enjoy fame? Just all of it! I would absolutely read it! I’d love to know what inspires YOU. You are inspirational to so many of us. Even fellow "Top Chef" competitor Joe Sasto joined the conversation. He commented on Ali’s Instagram post, remarking: "Are you crazy? I'd be upset if you didn't do this, [sic] You're an amazing writer." Beyond planning to write a book, Ali hopes to live life to the fullest for as long as she can. In 2017, Ali was diagnosed with Ewing's sarcoma, a rare type of bone and soft tissue cancer. She went through several cancer treatments and seemed to be on the road to recovery earlier this year. But the aggressive cancer came back. In September, doctors gave the chef a one year prognosis. "I am desperate to overload my senses in the coming months, making reservations at the world’s best restaurants, reaching out to past lovers and friends, and smothering my family, giving them the time that I so selfishly guarded before,” Ali wrote in an essay she penned for Bon Appetit after she had started to process the upsetting news. Ali plans to eat her way through New York’s five boroughs, make amends with old friends and travel the world. And, thanks to the help of her family and fans (including Ellen DeGeneres), Ali is looking forward to checking off every item on her bucket list — including her upcoming literary project.